The Adventure Begins! I was in Baguio, the night before this journey to Pagsanjan Falls. I arrived in Manila about 3AM, took a nap, freshened up and met Chino of Juandeful Pinoy in Quezon City. We headed to Makati to meet our fellow travelers, Arjay of RJ d Explorer and Jherson of Lonely Travelogue. We had quick breakfast at Mc Donald’s and headed our way to the DLTB bus terminal to catch a trip to Sta. Cruz Laguna. Meanwhile, Jeffrey of Traveling Morion, Paula of ponderingpaoladei.net, Xander of Binatang Lakwastero and Ace were already waiting for us in Sta. Cruz. 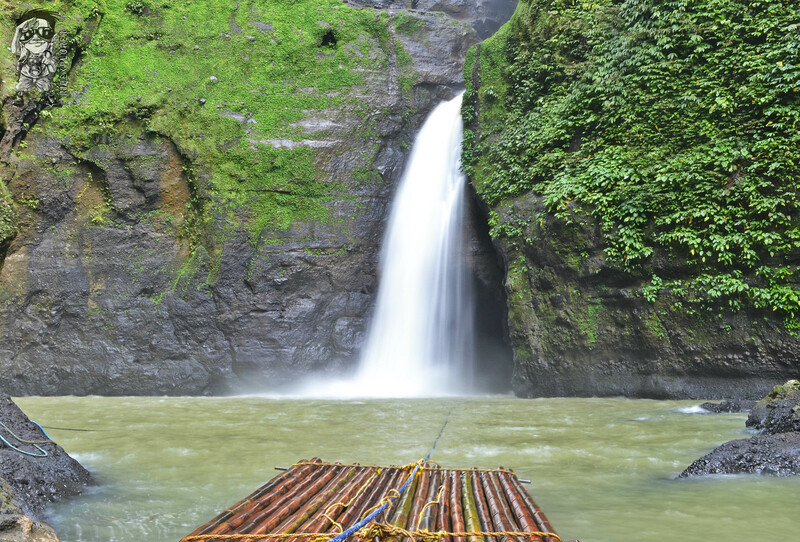 The Road Less Traveled… There are two ways to get to Pagsanjan Falls. 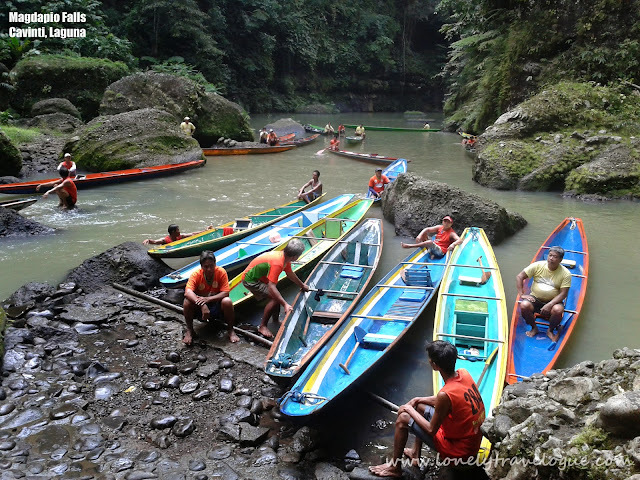 You can either take a one-hour boat ride from the town of Pagsanjan going to the falls passing a scenic view of Bumbungan and Balanac Rivers or to hike to the falls from the town of Cavinti. The former is more popular but we chose the latter as it was way cheaper. 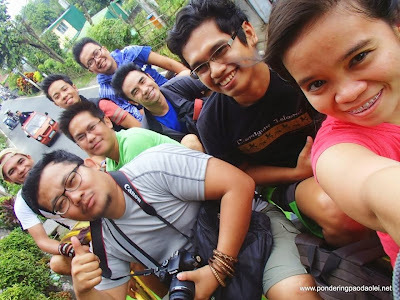 The journey going to Pagsanjan Falls was not easy. We had to take a jeep from the town of Sta. Cruz going to Cavinti. Then, we chartered a tricycle going to the jump-off point. We trekked and rappelled for over an hour before we finally reach the bottom of the falls. It was hard and very challenging but because I was with cool and awesome people, the exhaustion was turned into joy and laughter. The tricycle dropped us at the entrance of Pueblo El Salvador Nature Park and Picnic Grove located at Brgy. Tibatib, Cavinti. We paid the entrance fee of P270 which supposedly include the entrance fee, the rappelling equipment and a life vest. To our dismay, there was no life vest given when we reached the bottom. It wasn’t really that much needed but for precautionary measures, it should be included. The tourism office of Cavinti should look into this matter as I’m sure they do not want an accident to happen before acting on the issue. Anyway, so we started trekking going to the park and we were assisted by the park’s personnel. They provided us with necessary gears for our rappelling adventure. It was first to many of us so imagine how we reacted. Fortunately, we all arrived safely at the bottom of the falls. I was expecting much I guess that I was a bit disappointed by how it looked like. 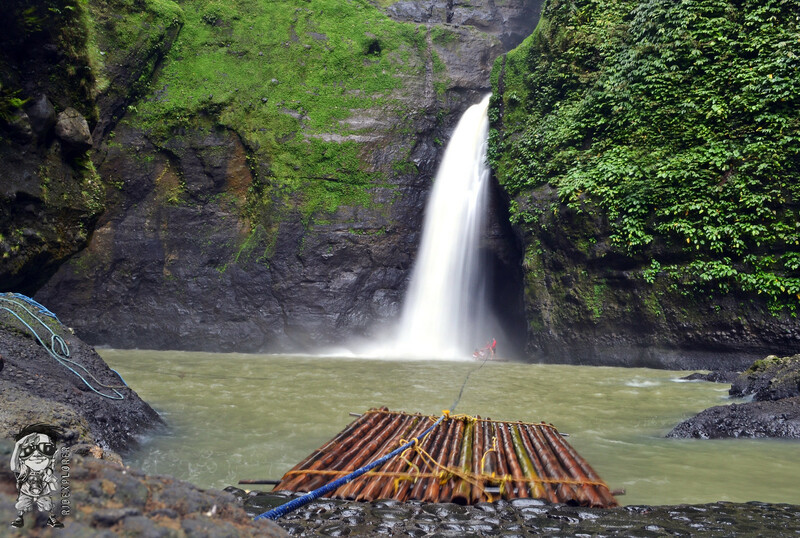 Pagsanjan Falls is among the famous tourist attractions mentioned in our elementary textbooks. So, I was expecting a grand waterfall. I think it was also a factor that I have visited quite a lot of waterfalls so my expectation was high. Nevertheless, it’s worth the trek. The Devil’s Cave I did not plan of getting wet or swimming so I did not bring any extra clothing or towel. But, when most of my friends took the raft going to the Devil’s Cave, I felt like I need to join them. So, I did. I just took off the things on my pocket and joined them. I forgot to remove my shirt so I was wet all over. No regrets, I enjoyed the rafting a lot. It was definitely the highlight of the trip. The agony continues… If going down was difficult, going up was more challenging. We had to hike that over 500 steps path walk and rappel all the way up. Some of us tried to negotiate with the boat men if they can take them back to the town, unfortunately no one would agree. 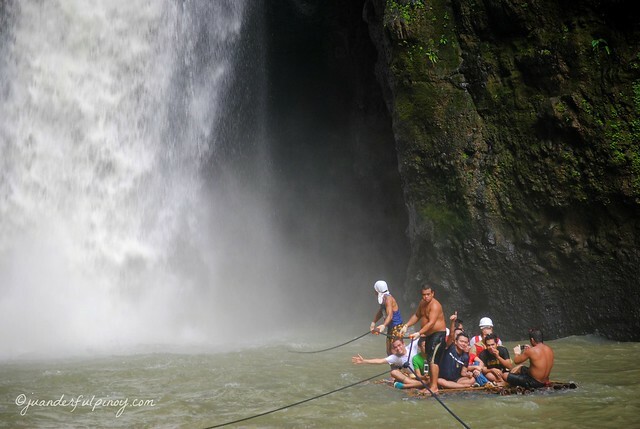 They have this very selfish and foolish policy that once you used the Cavinti route going to Pagsanjan Falls, you have no other option to go out but the Cavinti route. You are not allowed to take the Pagsanjan route even if you pay for it. The most FOOLISH policy ever! Cavinti and Pagsanjan officials should sit down and talk what’s best for both of them. They should help each other not the other way around. Anyway, after almost 2 hours we arrived at Pueblo El Salvador Nature Park, took a rest for a while and proceeded back to the jump-off point. The tricycle that we contracted earlier was already waiting for us so we headed back to the town, ate halo-halo and went back to Manila. It was an epic journey, many thanks to Jherson for arranging the itinerary and to all the bloggers who responded to my invitation. Until next time for bigger and bolder adventures. Thanks to Paula, Chino, Arjay and Jherson for the photos. Thank you Jeffrey, Xander and Ace for your presence. How to Get There? Take a bus from Buendia going to Sta. Cruz. Fare is P140 for an airconditioned bus and travel time is around 2 hours. From Sta. Cruz, take a jeep going to Cavinti.Travel time is around 45 minutes and fare is P27. From Cavinti town proper, hire a tricycle going to the jump-off point at Pueblo El Salvador Nature Park and Picnic Grove located in Brgy. Tibatib, Cavinti. Travel time is around 15 minutes and fare is P20 each. Then trek for about an hour or so from the jump-off point going down to the waterfall. 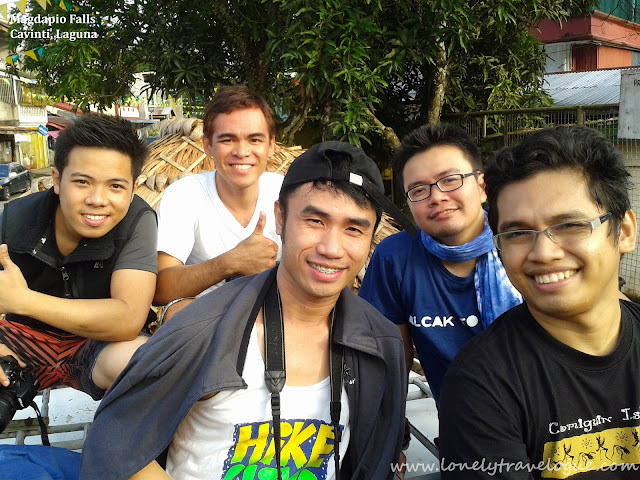 Tips: You do NOT have to hire a tour guide when using the Cavinti route. There are people who will assist you inside the park. As much as possible do not use this route when you’re alone. Bring extra clothes, water, and food as there are no stores nearby.